The single marketing topic that advisers WANT to know how to absolutely nail it is how to get more referrals. Get this right, and prospecting problems are fixed forever. The theory really isn’t all that hard. Applying it might be, but understanding it isn’t. Pretty much everyone involved in sales or marketing understands the principle of reciprocity. (Just in case that is a new concept though; there is a general principle of influence that says “if you do something good for someone they feel obliged to do something good for you”). 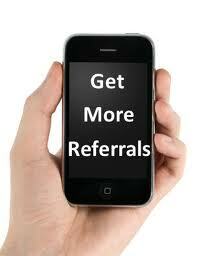 So, professionals advisers want referrals. It should therefore be understood and accepted that in order to get a constant stream of referrals they have to take the initiative and do something worthy to earn referrals. The funny thing is that professionals are usually quite good at GIVING referrals…so why does getting referrals present an ongoing problem for them? The first point is an ugly (and possibly unpalatable) truth for many who struggle to get referrals business. Maybe you just don’t deserve it – perhaps you are not actually referable. Now hold the protests and think about that idea for a moment because it is a real possibility. At the heart of any client relationship where a referral is given, or expected, there must be a transfer of trust on the part of the person giving the referral. If they are reluctant to provide referrals then there is a serious issue to address and resolve – and it is NOT the client who has to resolve it. Put yourself in their shoes – you happily give referrals when you feel that you are sharing something good, or truly believe a business or person provides exceptional value and you want your friends to benefit from that, or you have has a very positive business experience….and that is exactly what needs to be achieved by you for your clients if you want them to constantly refer other new clients to you. The first thing to consider if you are not getting enough referral business is whether you tick these boxes. So do you? Assuming you are referable, we now have to address why there is a gap between what you feel you deserve, and what you actually get. Over the years I have seen and heard all sorts of ridiculous (but supposedly clever!) methods of cunningly asking for referrals…like putting stickers and stamps on your paperwork that make the client ask a question that supposedly gives the adviser an opening to introduce the topic. IF that sort of thing ever worked at all, it probably doesn’t now. Besides, such tactics are crass. A more professional approach will involve being open, transparent, and positioning for referrals on a “deserved” basis. By that I mean putting the expectation out there clearly – but with the caveat that you understand they are a by-product of being referable. The second point is to highlight that the less time and money one has to spend on marketing to the greater public, the more personal attention you can give to clients. The final missing piece of the puzzle is having a plan – and acting on it. You will undoubtedly be able to work out your own business objectives in terms of how much new business, and how many new clients that represents, has to be achieved. That is an easy (but essential) element: knowing what you are aiming to achieve. Having established the objective, you need to have a plan with some actions to implement it. The more frequently you are in personal contact, the closer the relationship wth clients, the more likely they are to become advocates referring new clients to you. Clearly there is an optimal point in how often you are in contact…a call every hour on the hour will possibly be deemed to be something close to stalking – not a good plan. So how often are you actually in contact with your potential referrers? How often should you be? Work out what is optimal: that point where you maintain top-of-mind-awareness but stop short of being a pest. To build trust, people have to feel they “know you”. That requires a continued presence…a high touch relationship. That is not the same as being with your clients in person continually though. It is about attaining the balance of being there, being accessible, and reminding them that you are there on the sideline still working for them. Achieving this balance is all about having a good system that minimises the adviser time requirement. 1. Have 2 business face-to-face meetings per year. Plan to see your clients twice in a year at least – one might be a full on review process, and one might be a more casual “tell me what’s happening” over a coffee type meeting. 2. Have one semi-social meeting per year. This doesn’t mean go out and rip the town up together…but a client function where you make a point of spending a little time just having a relaxed chat about the football, the kids, how business is going. You can deal with 20 clients meaningfully in a couple of hours this way. 3. Call your client on their birthday – even if you don’t get to talk to them personally, leave a “happy birthday” message. On their phone…not their facebook page or via text. This one is about the human touch, and where it is just about them, not your joint interests. 4. Send 4 pieces of correspondence at least each year from you to them. Whether it is a letter, an email, an invitation to a client seminar…it is about getting your name in front of them in a non-threatening manner. It maintains the “top of mind awareness”. 5. Your company, or your business brand, should be in touch at least 2-3 times per year as well (newsletters, alerts, general commentaries), but this is more about the “technical” information delivery. A plan like this that is organised, scheduled and delivered pretty much en masse to a large number of clients as part of a systematic process maintains high-touch and high-visibility at relatively low cost. 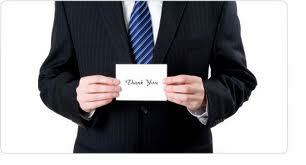 Don’t forget to thank your clients personally and sincerely. If you want to fix prospecting problems forever, the best solution is to have satisfied clients doing the work for you. You do have to deserve their trust; you do have to communicate your expectations; and you do have to put in place a plan to make it happen. Do all three well though, and it will happen. Prospecting will not be a problem again.